The Lamborghini Italian auto maker is apparently working on a high-end supercar, the Aventador Super Veloce, as the model in question was recently spotted cruising the streets for some tests. 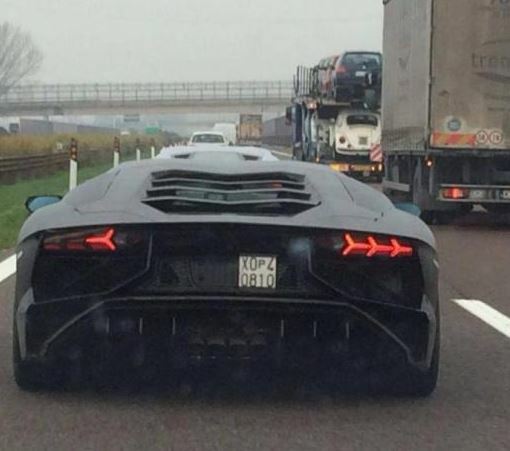 The spy shot was posted by Marchettino (FB) and it is showcasing the future of the Aventador SV, driving the streets of Italy. Littel it is known about the Lamborghini Aventador Super Veloce, as the image is revealing the rear end of the supercar, which is highlighting the quad pipe arrangement, new rear bumper, as well as a more aggressive diffuser. Under the hood, the model is also rumored to come with a higher power, as it will also drop some weight, but so far, the detailing list is rather poor. We should expect more info next year, at the Geneva Motor Show.